Not that it has ever stopped me in the past, but to use a tired yet accurate phrase, “success story” seems to be a nice tight fit for the Four Roses brand. Its history, however, is a rather strange one when you start at the beginning. The distillery was founded in 1888, and eventually the Four Roses brand was a best selling bourbon from the 30’s to 50’s. Its dark age began when Seagrams bought them out and sentenced Four Roses to the graveyard of blended whiskey for a good 40 years. This long, slow burn of a decline found its resurgence in 2002, when Four Roses was re launched as a Kentucky straight bourbon whiskey under Master Distiller Jim Rutledge, a title he has held for 20 years. Day in and day out, the whiskey distilled and sold under his charge has climbed to the very top of the very best in Kentucky bourbon. Accolades and awards aside, the Four Roses limited editions in particular have not just reached the status of “highly anticipated,” and they are, but they are indeed considered beloved by bourbon enthusiasts, a status not easily earned. Nose– And old soul of a bourbon. Deep oak with polished leather. Toffee. Layered under that is honeyed vanilla and orange peel. Red apples. Familiar Four Roses spice cabinet of nutmeg, cinnamon and herbal meadow. Benefits from some water. Taste- Big, as you might imagine. Largely a repeat of the nose but now with toasted grain, cherries, and sweet toffee. A drying feel, but overall chewy and thick. Again, water helps. Finish- Long. Oak char, nutty with minty spices. Drying, again, but very satisfying. 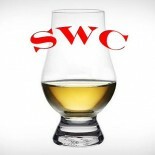 Comments- A fitting final gift from Rutledge to the whiskey world. Complex, developed and a fine picture of what a fully realized Kentucky straight bourbon can do. Bravo. 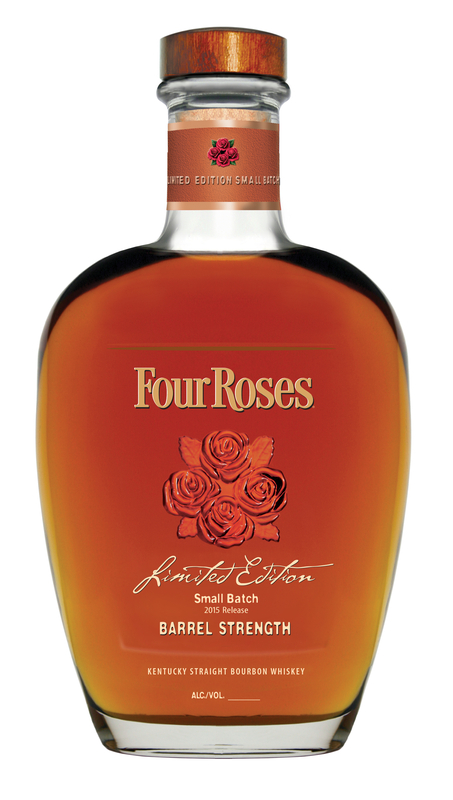 *…See this link explaining the Four Roses acronyms. Editor’s Note: This bottle was not sent to me from a marketing firm. I bought it with my own money at a liquor store, like a complete jerk. Nice review. I would have loved to have purchased my bottle rather than get it from a marketing firm. But it still isn’t available in my retched state. Still on the hunt. The struggle is real. The store I got it from was only allocated one bottle. One! I hope more people get a shot at this, this limited release is among the biggest I’ve seen from FR. 12,600 bottles versus the usual few thousand or so. A dream I will never realize here in Canada. Will be entering the LCBO Lottery for the BTAC. will settle for what ever I get if anything. If you ever find yourself wandering down to Spokane, I shall share a pour with you, and we shall talk of the days when bottles like these were gathering dust. Well not only did I win a 2015 WLW (spectacular), my daughter won a SAZ18 which she promptly turned over to me . I then traded the SAZ for a 2012 Handy (maybe the best Whiskey I have ever tasted) and a 2012 Old Forester BB. Nice Christmas haul. The Van Winkle lottery just finished here as well, got a Lot B and a ORVW 10 107. Nice start to 2016. Okay, I am so sorry gentlemen and I don’t mean to brag, but I am giggling here in Kentucky. They only allow you one bottle? You can’t find any? Come to my state and you can find this stuff (and many, many more fine bourbons like Blantons, Woodford, Wild Turkey special reserves, Buffalo Trace, etc.) for miles abound and in abundant quantity/quality. This, gentlemen, is a bourbon drinkers paradise. Which is why we are making making a trip there next year!